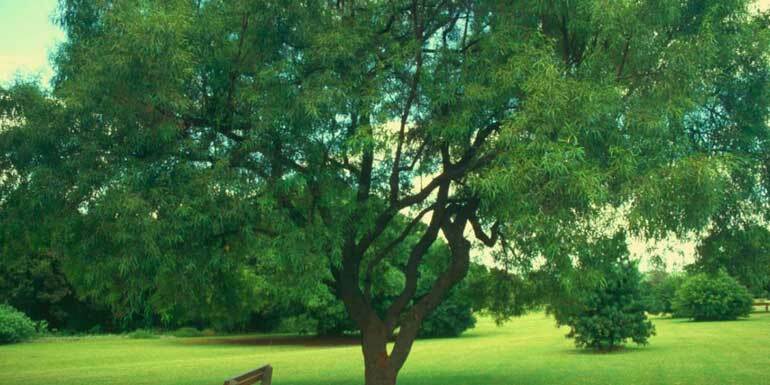 The Karee (Rhus Lancea) tree is an evergreen tree with a loose rounded crown to 9m high. The leaves are hanging down, with glossy dark green leaves. The flowers are yellow and fruit is small, round and slightly flattened. The flowering season is between June and September, and fruit begins to form from September to January. Usually occurs in the forest along waterholes, grow in almost all soils. Several birds eat the fruit. Bulbuls eat the ripe fruit on the tree, and guinea fowl and pheasants eat the fruit waste on the ground. 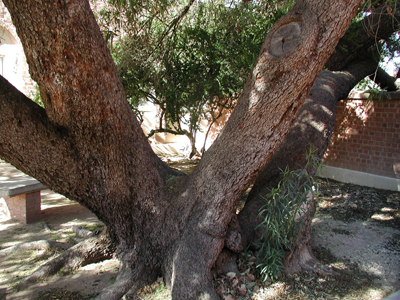 The bark is reddish-brown in young branches, but rough and dark brown in older branches and stems. Can be used as fence posts because the wood is resistant to termites. In dry areas, it is the only tree that cattle can feed on or use as shade. Almost all livestock and wildlife such as kudu eats the leaves. Karee trees are planted as fences along borders or waterholes. In the Karoo and Kalahari it’s a valuable shade tree. They are also planted for this purpose in groups of 10 to 20. 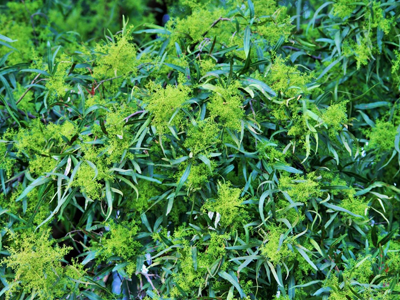 Karee trees are neat and useful garden tree, especially in areas with water restrictions or prolonged droughts. It has a non-aggressive root system.